Get your broken inner LH door handle fixed with this replacement 2005-2014 Mustang Aluminum door handle! The inner door handles in your S197 can become worn, broken, or scratched due to everyday use. 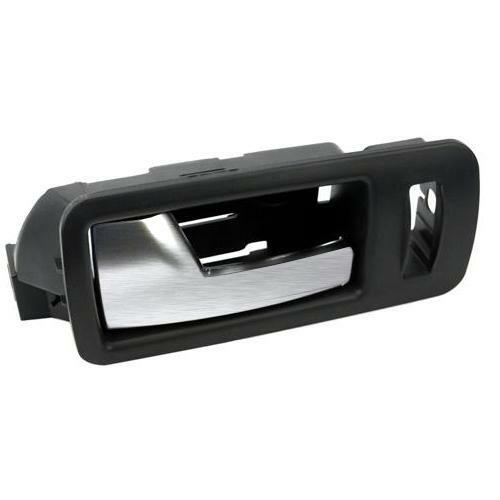 Upgrade your interior and get yours fixed with this replacement 2005-2014 Mustang inner aluminum door handle. This black and aluminum door handle is a great way to give your Mustang a custom look! Installation is quick and easy to get your door opening up better than ever! Pick up one to get your interior looking great! This is the left-hand side (LH) also known as the driver side door handle.